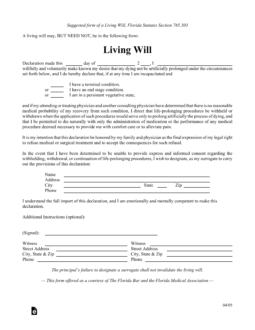 The Florida living will is a legal document which allows a Principal (yourself) to place into writing a document that specifically states your end of life desires with regard to your health care while you’re of sound mind to do so. 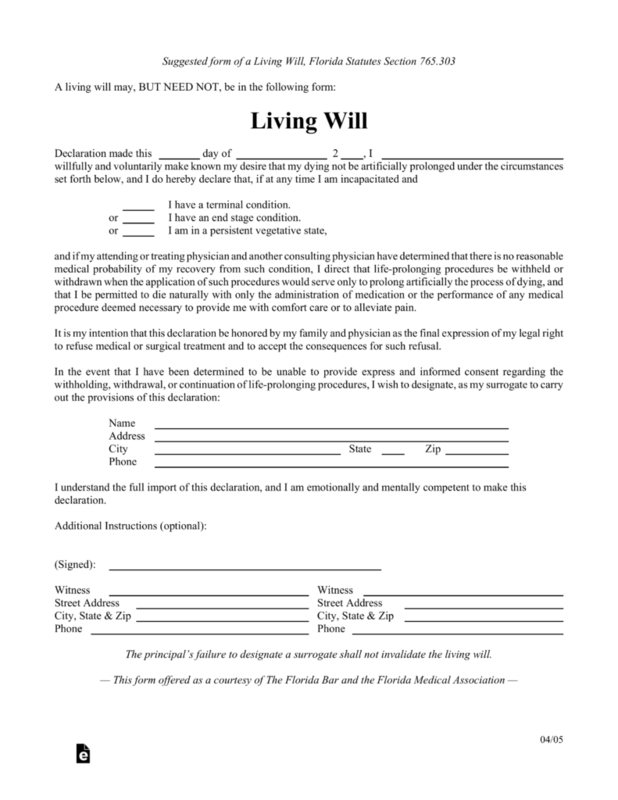 The purpose of this document is to provide the Principal the opportunity to direct any provision, the withholding of, or withdrawal of any life-prolonging procedures in the event one should have a terminal condition that has been diagnosed as unrecoverable. This document may be revoked at any time as long as the Principal is of sound mind to do so. Medical Power of Attorney – For the use of a patient that would like to elect a person to make decisions on their behalf in case they are not able to do so for themselves (incapacitated). This is used to compliment the living will as it uses a family member’s or close friend’s judgment when applying the principal’s health care requests.